Just a wild and crazy assortment this time around. 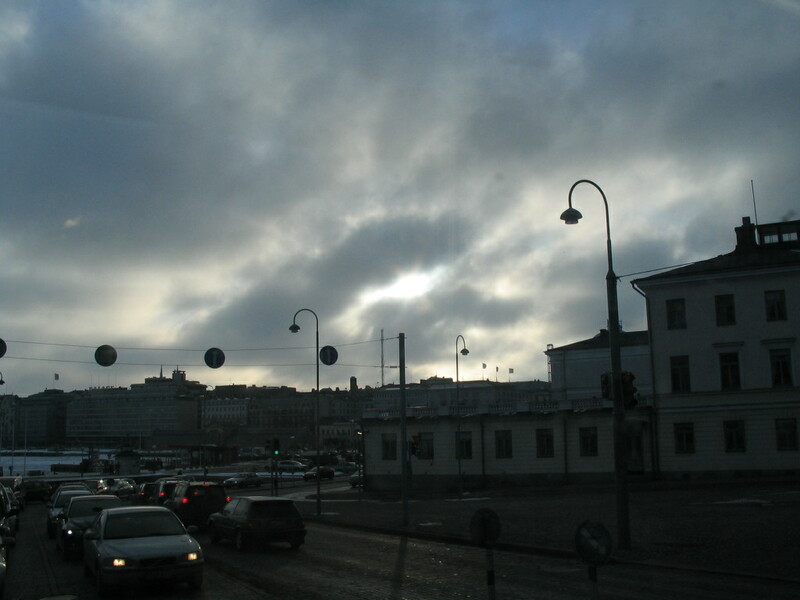 All right so here's some sun and some clouds, in the afternoon. 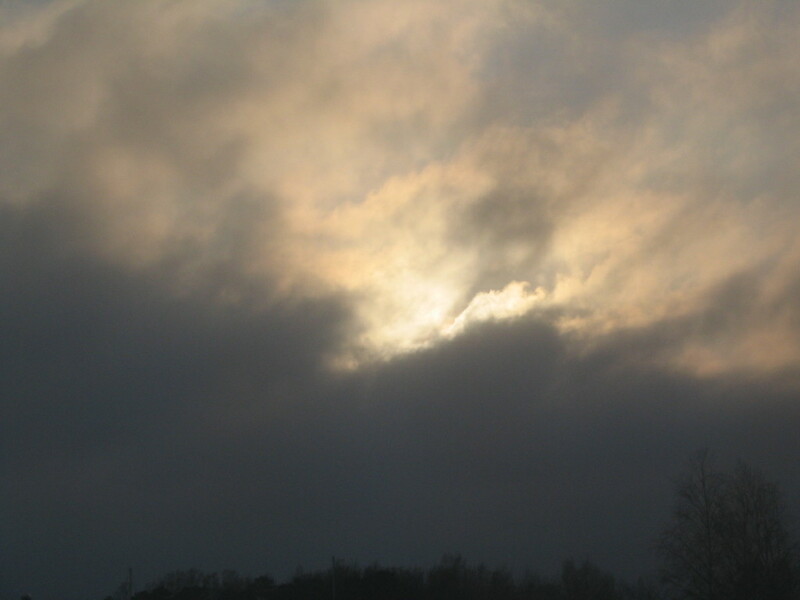 Oh, yup, sun and clouds again. Mostly clouds. 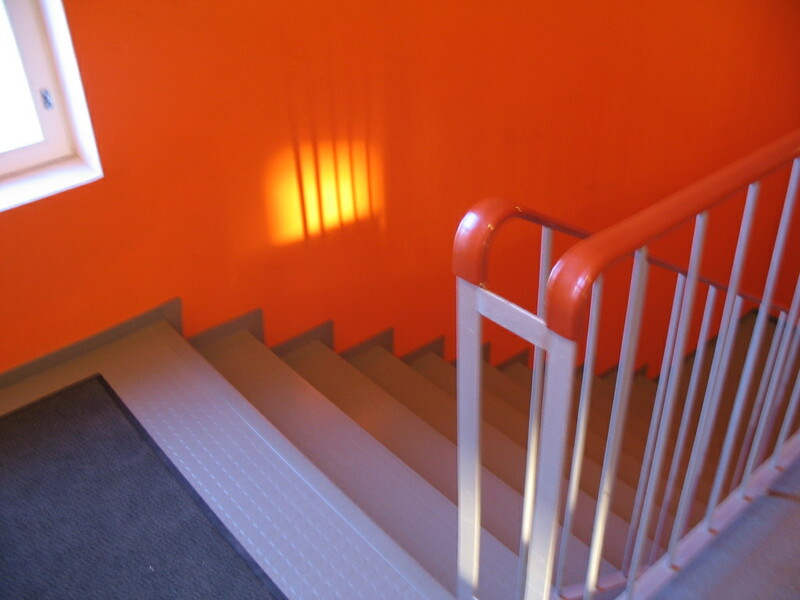 Here's the vivid east stairwell of our studio building with some late afternoon sun coming through. The west stairwell is magenta. 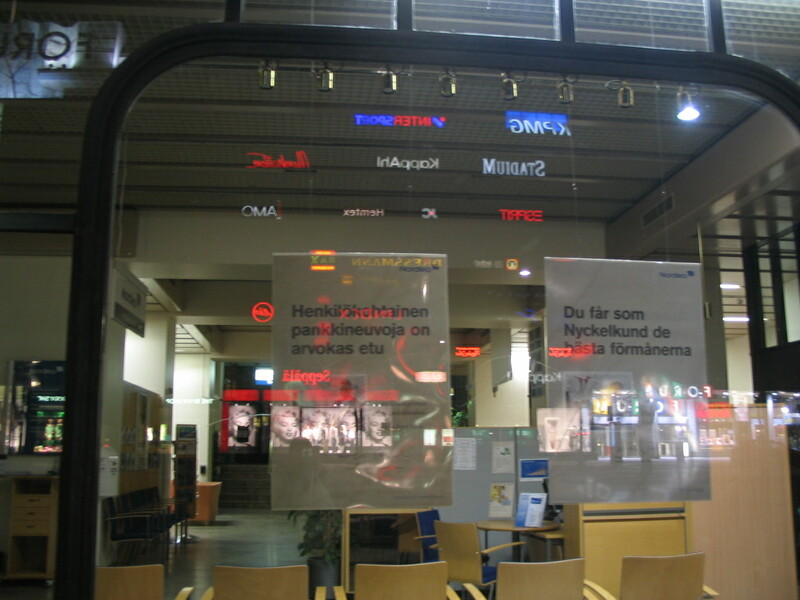 As I was walking home from Kamppi one night, I enjoyed the reflection of all these logos from the building across the street. 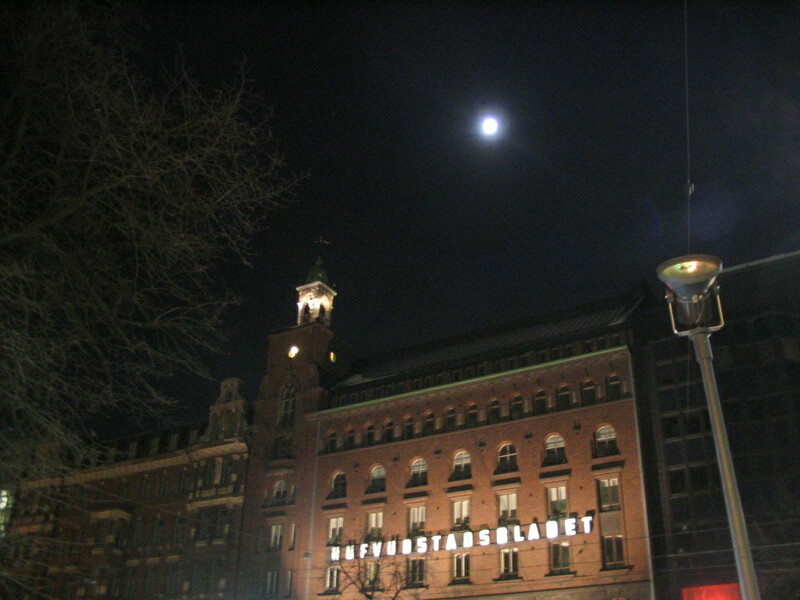 The moon plus probably my favorite building on Mannerheimintie, the Hufvudstadsbladet building. 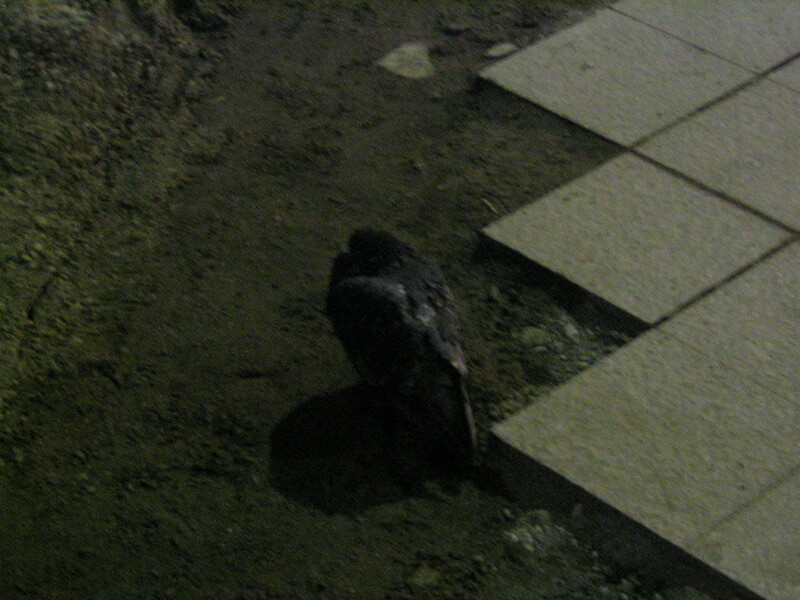 This pigeon was just sleeping here on the ground, in an area still somewhat busy with pedestrian traffic. He seemed OK, though (just sleepy). 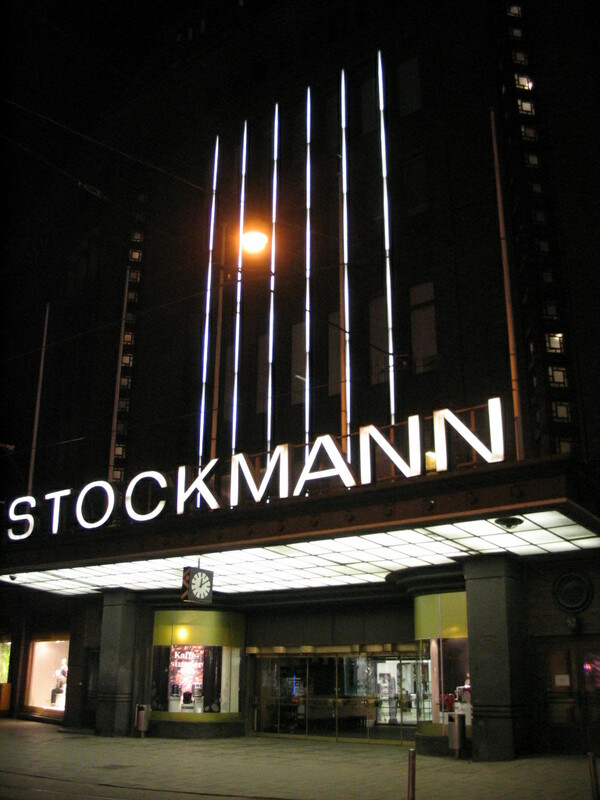 Stockmann is a beacon after dark, even when it's closed. I like it when the daylight and the artificial light are nearly the same intensity, as here. 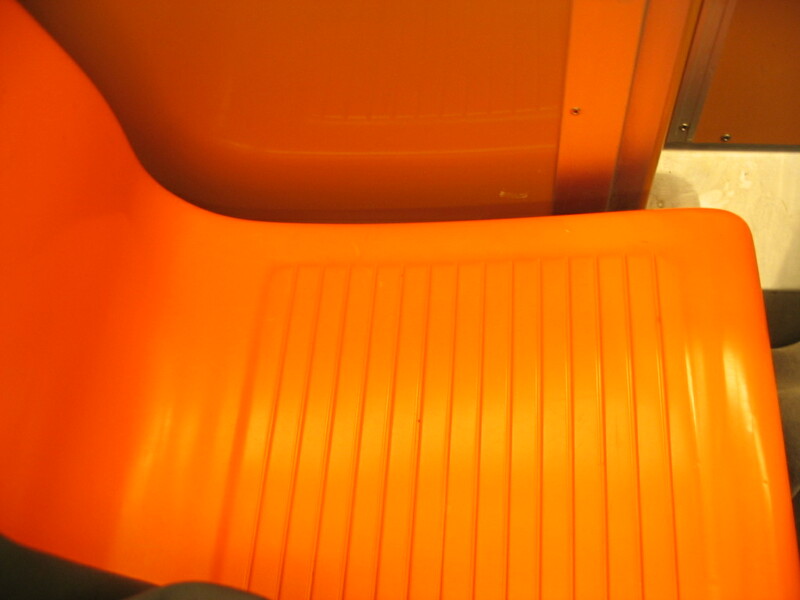 This is a bus window that I was sitting next to. It contained a significant amount of water. 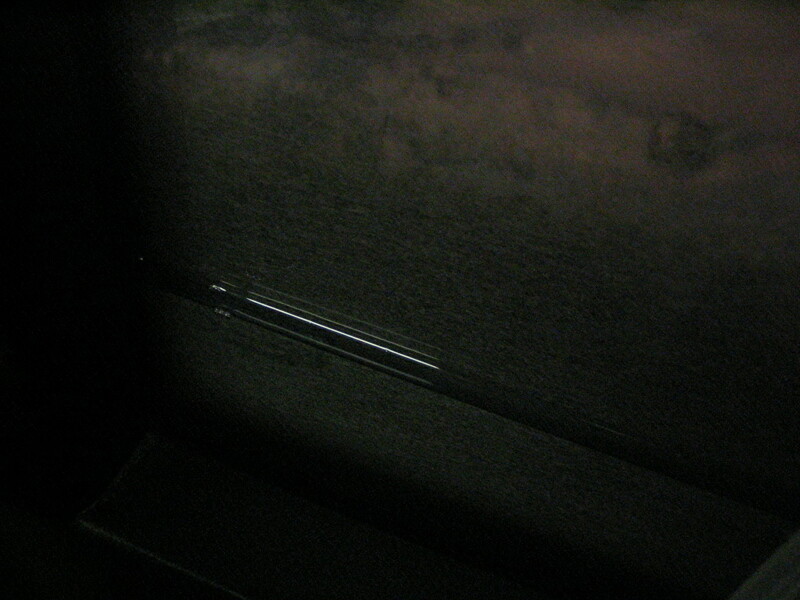 When the bus accelerated, the water would bunch up at the rear end, and the opposite when it braked. 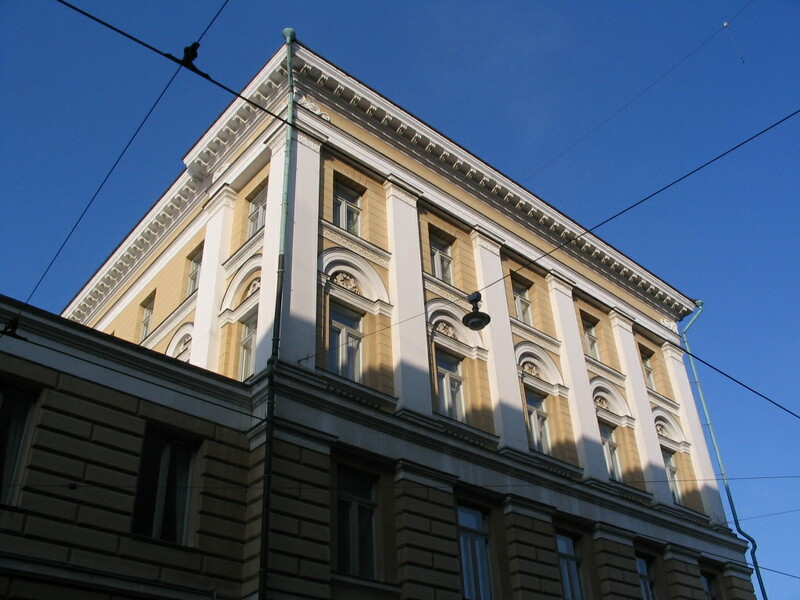 The Helsingin Yliopisto (Helsinki University) library in the bright sun. 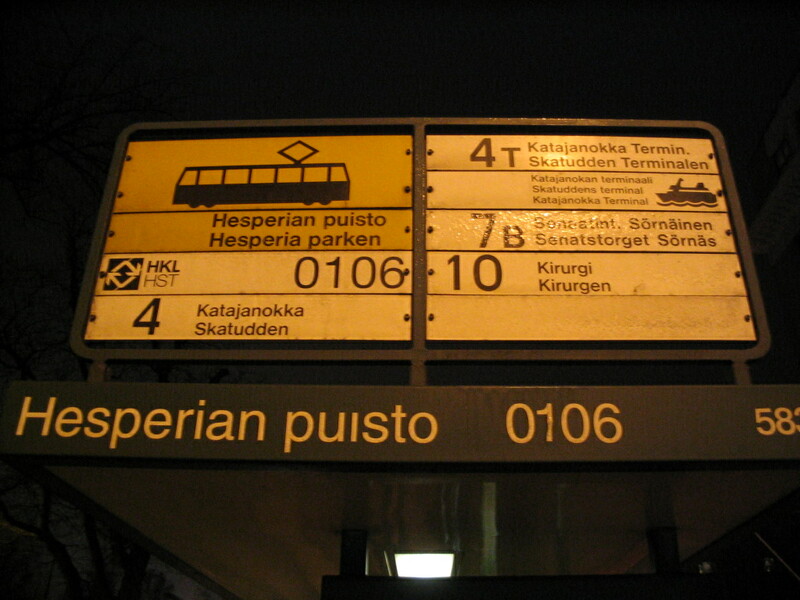 This is right next to Senaatintori. 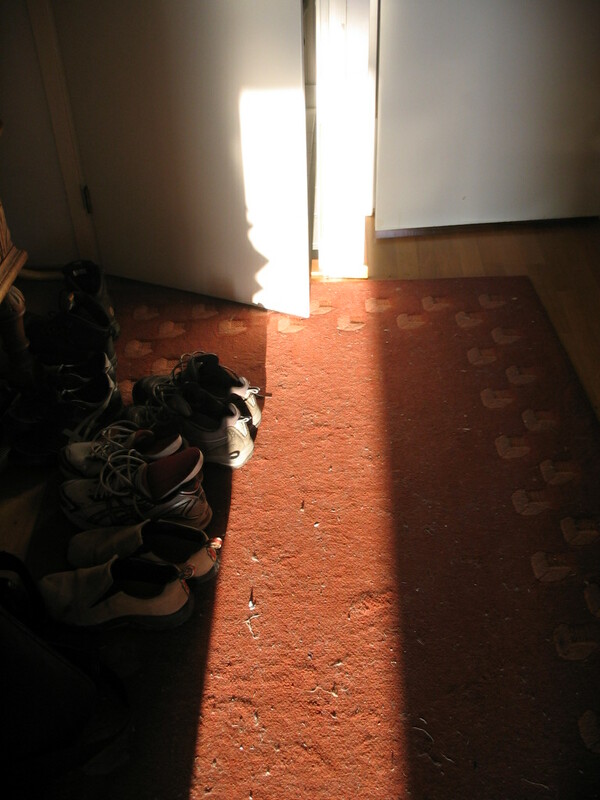 Latish but still very white sun penetrating deep into the apartment. 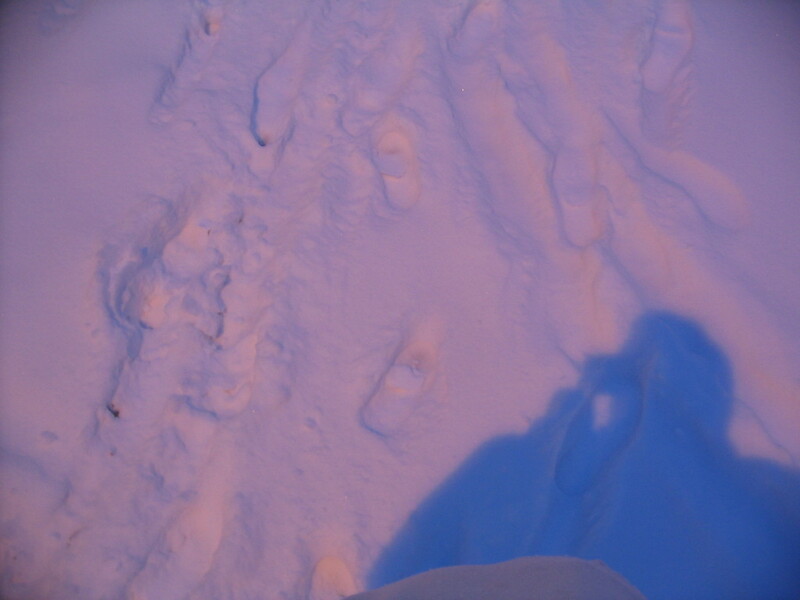 The days had lengthened considerably by this point, so the sun was still high enough at this azimuth (approximately west-southwest) to be crisp. 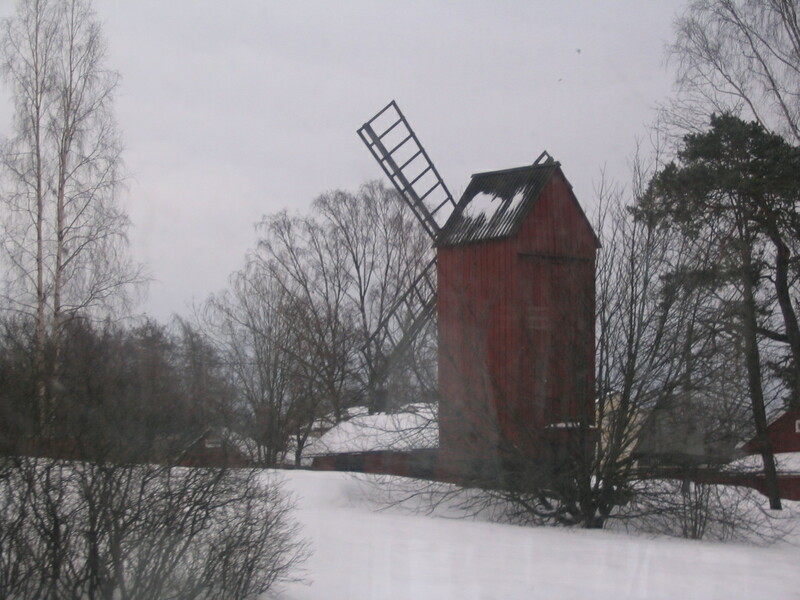 A windmill on the way to Laajasalo, though I don't know where precisely.